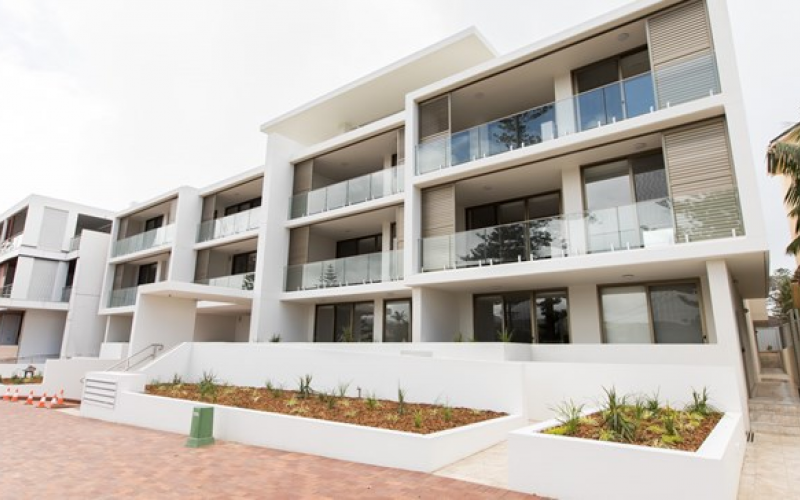 Kiama Accommodation – Stunning 2 bedroom Ocean View Apartment. 1 underground security car space. 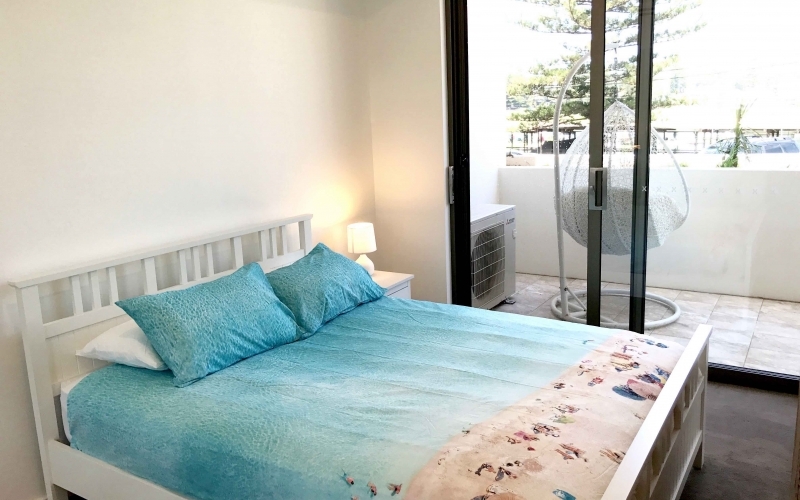 Overlooking the famous Kiama Surf Beach is this beautiful resort style, full security brand new apartment, with 2 bedrooms, 1 bathroom, internal laundry and 1 underground security car space. 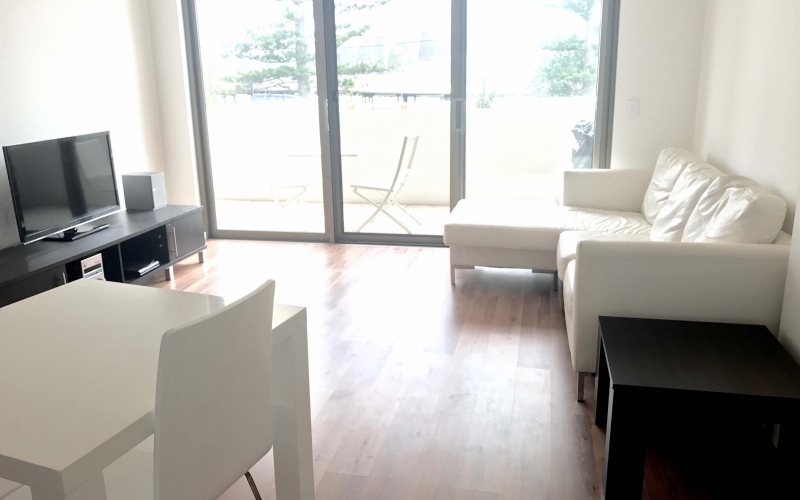 This apartment is brand sparkling new with beautiful views of the beach and park. 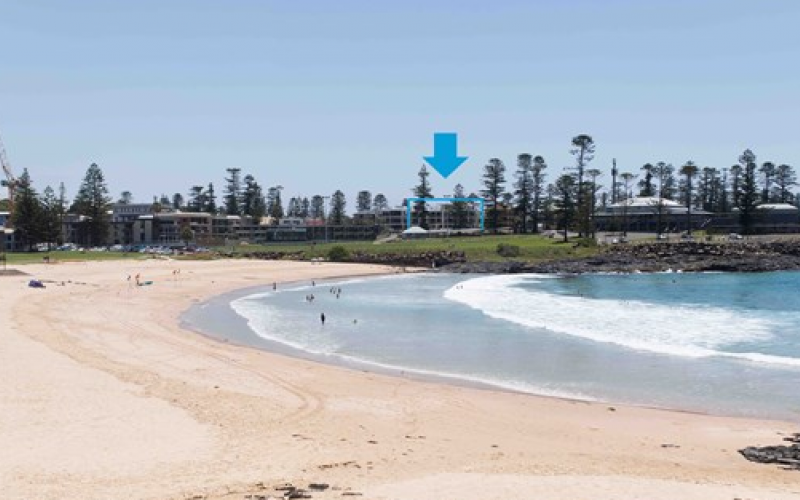 It is perfectly located within easy walking distance to everything Kiama has to offer. 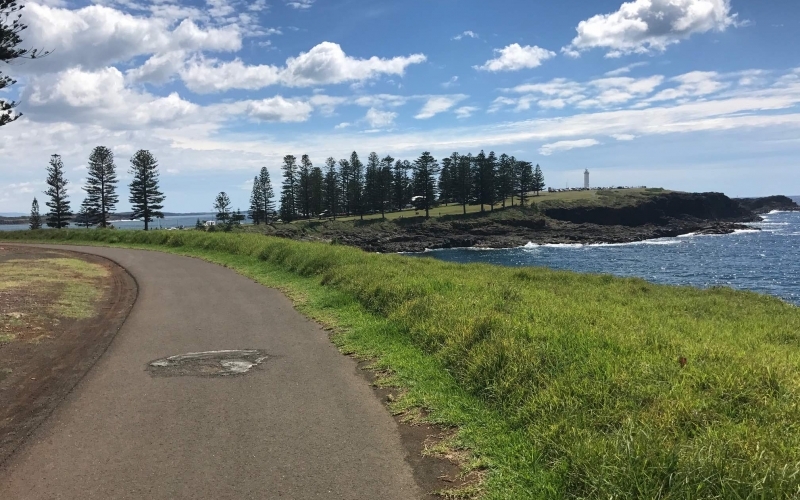 Only moments walk to many cafes, and 5 mins walk to the Kiama Blowhole and lighthouse. 100 metres to the beach. Beautifully designed with caesarstone benchtops for both kitchen & bathrooms, soft closures, rain showerhead and other high end finishes. 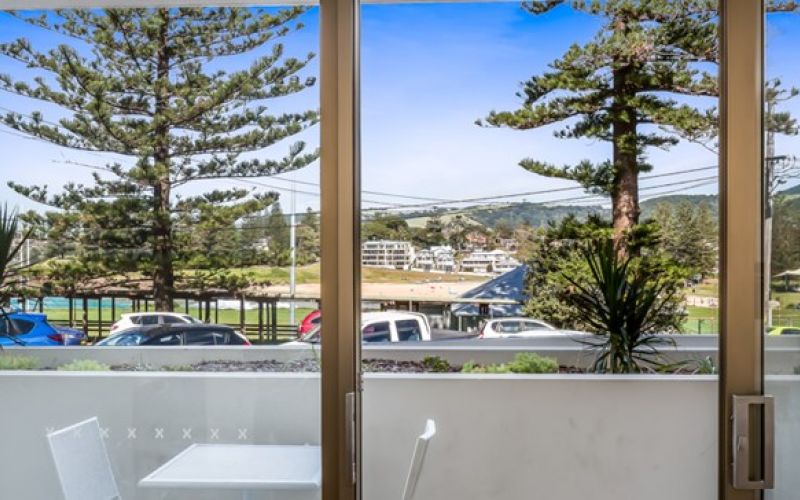 Large glass sliding doors that lead out to the patio with beautiful ocean and park views. 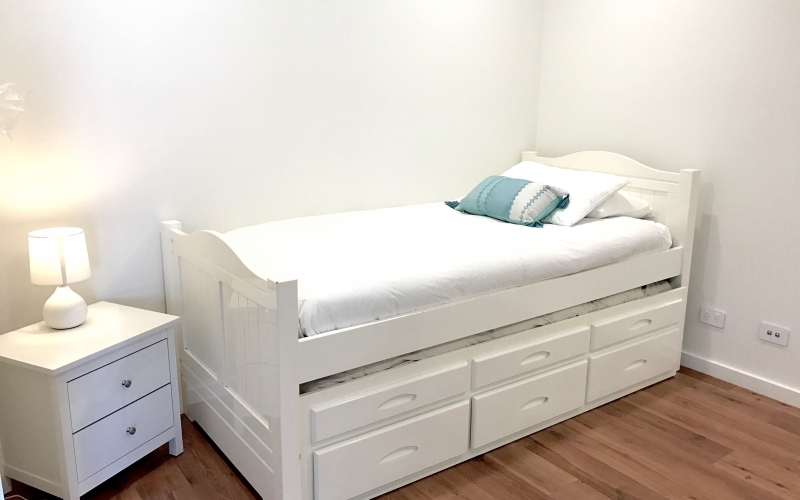 Single bed with another full sized single trundle bed, so 2 singles in total. *Please note that the 2nd bedroom has a wide open archway and no door. 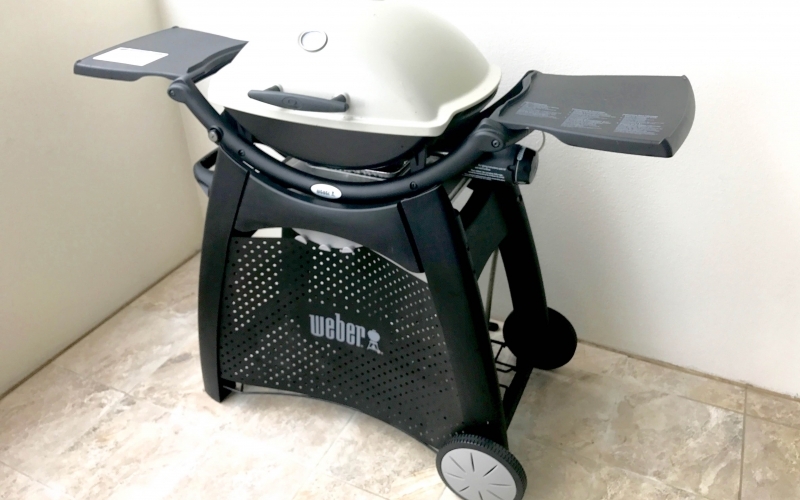 Safe for children and great for entertaining with a webber Gas BBQ on the patio with relaxing Hanging Egg Chair to optimize your relaxation whilst enjoying the ocean and park views. Full Linen and towels provided. Internal laundry with washing machine and dryer. 1 car space in the security underground carpark. The apartment is stunning. The views are amazing and the location is perfect. We couldn’t have asked for a better apartment. 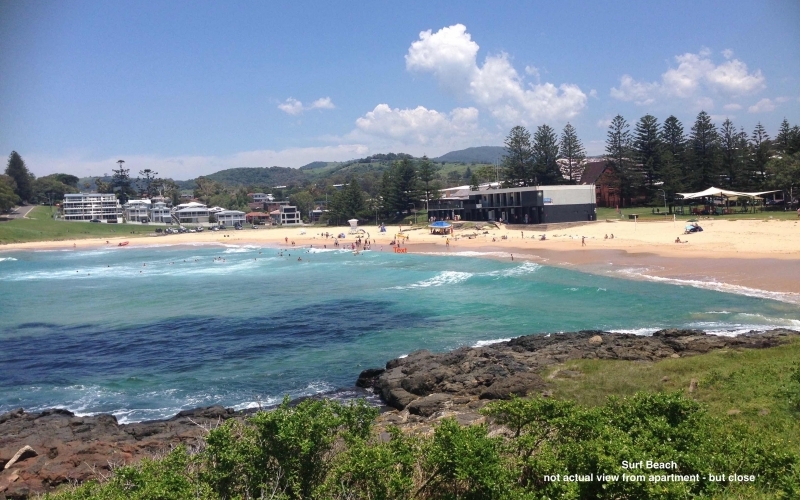 Lynda was really helpful and informative on Kiama. Great communication and access was very easy. We had a really wonderful time. Thank you. Great little unit, very clean. 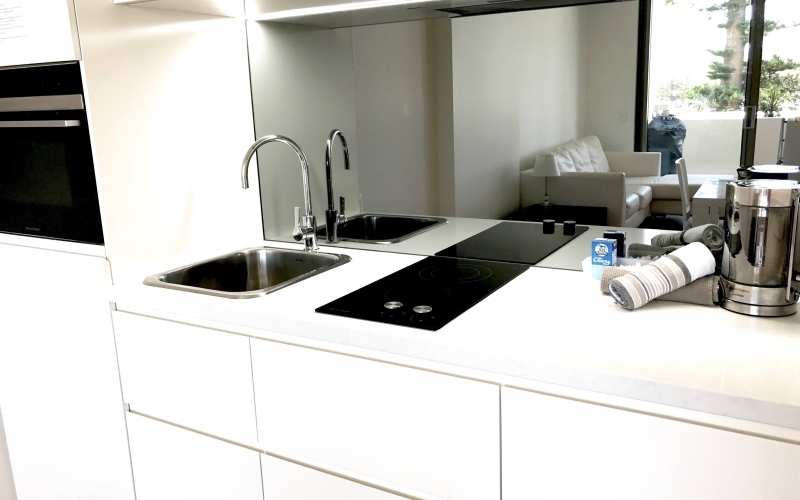 Very beautiful apartment in great location. We could walk everywhere. The cafe in the park across the road was so very handy and enjoyable. Thank you Lynda. Perfect for our weekend away. Felt relaxed as soon as we walked through the door. Amazing views and location. Would sit in the egg chair for hours whilst hubby cooked on the BBQ, enjoying the view of the beach and mountains. Very clean. Loved our week here. Will be back. Fantastic location and views. Kids loved the park opposite. Secure and clean. Very happy thank you. Great for our kids. Great View and great location. What is there not to like. Great place. 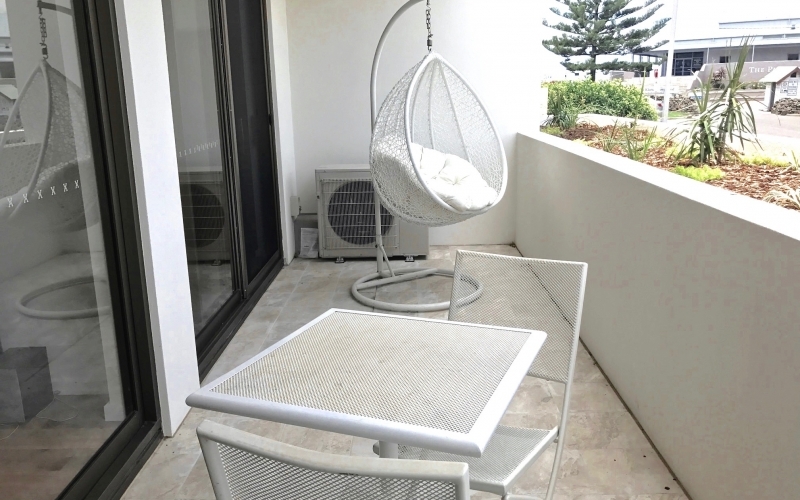 This apartment is in a great location and is ideal for a couples getaway.